Strike Slip in the Gulf. These transform faults connect the Cascadia subduction zone (CSZ) with the Middle America trench (MAT). Transform faults are strike skip fault systems that connect spreading mid oceanic spreading ridges. The northern end of this transform fault system begins at the Gorda rise offshore northern California with the Mendocino fault. Next in line is the San Andreas fault system, which is composed of many many different faults. The SAF system extends into the Gulf of California where it meets a spreading ridge/transform stepped fault system that is causing the Gulf of CA to open up (similar to the Atlantic Ocean opening up ~105 Ma). The gulf of CA is unzipping and this unzipping is heading north. Some day the east side of the Sierra Nevada’s will look across the Gulf. Here is the USGS page where i got many of these resources. Here is the moment tensor. 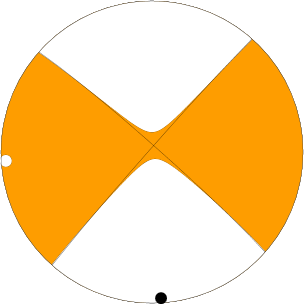 This is probably representative of a northwest striking right-lateral slip on a strike-slip fault. This is the orientation of the transform faults in this region. 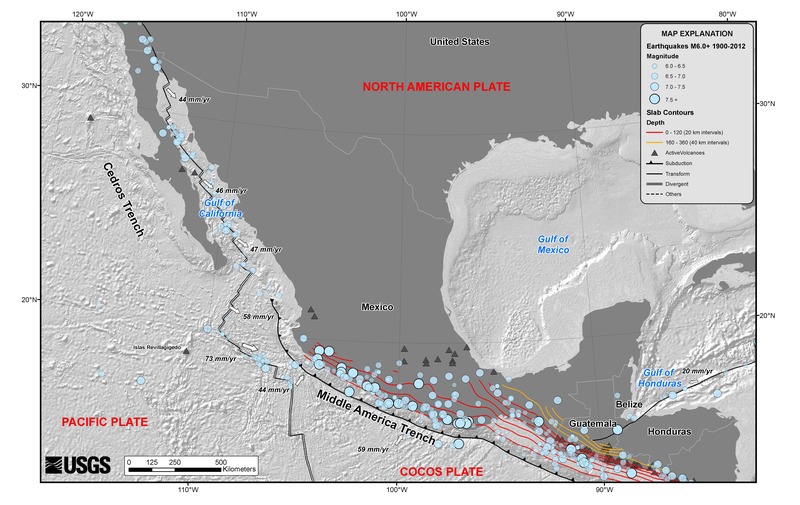 Here is a map that shows the epicenter as it relates to the general plate tectonics of the region. Here is a map that shows the epicenter as it relates to the general plate tectonics of the region with historic epicenters. Here is a map that shows the USGS interpretation of regional faulting, earthquakes, and subduction geometry. Here is a map that shows the epicenter as it relates to the local faulting. Here is a map that shows the epicenter as it relates to the local faulting with historic epicenters. Here is a map that shows the epicenter as it relates to ground shaking models of MMI (Modified Mercalli Intensity). Here is a map that shows the epicenter as it relates to ground shaking models of MMI (Modified Mercalli Intensity) with historic epicenters. Here is a map that shows the epicenter as it relates to ground shaking models of PGA.